Allergies and asthma are create misery for many people, especially in the spring when seasonal allergies return due to particulates from plants, including pollens. Yet, seasonal allergic symptoms (e.g., itchy eyes, runny nose) and asthmatic symptoms go far beyond the plant pollens of spring. In fact, allergies and asthma are frequently associated with exposures to certain foods and food additives, molds, animal dander, chemicals, and various environmental exposures. Fortunately for many sufferers, there are many simple, natural, and alternative means available to help support, alleviate, and in some cases virtually eliminate, the symptoms associated with allergies and asthma. The best solution, according to those who are familiar with the problem, is to 1) avoid the irritating substances completely, 2) reduce as many immunological challenges as possible, 3) take nutritional supplements that help strengthen the body, 4) detoxify, and 5) make certain lifestyle changes with respect to environmental exposures, diet, exercise, stress, relaxation, etc. In addition, boosting overall health using protocols from the HPDI Master Rejuvenation Program will help strengthen the body for greater general health, and thereby positively affect how the body deals with conditions such as allergies and asthma. Beyond avoidance of known plants, substances, and other environmental exposures, your diet can play an important role in supporting health when dealing with allergy and asthma. That is, allergies and asthma can be exacerbated by allergic reactions to the foods you eat, and by adverse effects of foods to which you may not be sensitized. Be observant to correlations between your symptoms and the foods eat. Certain foods trigger allergies, so especially avoid foods you know are problematic for you. If you suspect you are allergic to a certain food, then eliminating it for a while (a week or longer) and then reintroducing it into your diet can provide proof as to whether or not the food really is a problem for you. Allergies are inflammatory responses. Diet can promote inflammation in the body or relieve it. Inflammation in the body tends to worsen allergies. Over-consuming red meats, for example, can promote inflammation (fish is a better option). In this regard, is very important to obtain a proper balance of omega-3 and omega-6 essential fatty acids. Consuming the proper ratio of these fats can help regulate inflammation in the body. HPDI offers several essential fatty acid formulas, including Omega Plus and Essential Fats Plus E.
It is also helpful to maintain an alkaline state in the body, so be sure to include many alkalline-forming foods (e.g., greens, non-starchy vegetables and fruits) in your diet. Try eating Hank’s Vegetable Soup several times a week. Consume a diet that is relatively low in fat and high in fiber containing foods such as organic vegetables, fruits, whole grains (e.g., brown rice, millet, and quinoa), beans, nuts and seeds (sunflower, chia, flax, pumpkin, almond, walnut and sesame in small amounts (one or two ounces) are good). Avoid foods with artificial ingredients (including preservatives and colorings), as well as processed or refined foods (e.g., white breads and pasta). Try to consume only organic foods whenever possible. Avoid genetically modified foods (GMOs). These have been implicated in the development of allergies and other health conditions. Generally avoid dairy products when dealing with allergies and asthma. These can produce excess mucus and be acid-forming in the body. Try not to eat the same thing every day. An elimination or rotation diet may be useful whereby you give your body a break from consuming the same foods. Allergy and asthma can be exacerbated by imbalances in intestinal flora or lack of beneficial bacteria. Poor intestinal health can lead to yeast overgrowth and/or “leaky gut” syndrome. 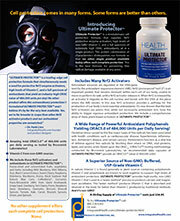 You may need to follow an anti-candida program if you have been on steroids or antibiotics for a long time. HPDI’s offers effective probiotics (e.g., Prescript-Assist®) and a unique Intestinal Rejuvenation Formula for individuals who seek to cleanse and purify their intestinal tract and rebuild gut populations of beneficial bacteria. 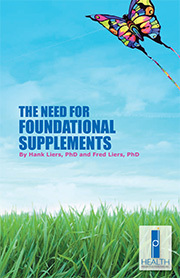 HPDI advises all individuals to take four basic foundational supplements for health: 1) High-potency multivitamin (like Hank & Brian’s Mighty Multi-Vite!™), 2) Antioxidant / Vitamin C formula (like Ultimate Protector™), 3) Essential Fats, and 4) High-RNA Rejuvenate!™ superfoods, such as Rejuvenate!™ Berries & Herbs. The four foundational formulas help establish a base of nutrients that support a state of good health. General good health is important not only to help the body deal with existing allergies or asthma, but also to help avert the development of new allergies or triggers for asthma. Other important formulas include Allergy Support Plus, NAC, and Pantethine. In particular, Allergy Support Plus provides excellent support for allergies by very effectively reducing inflammation in the body. In fact, many users report their symptoms disappear or are greatly reduced. Read more about Allergy Support Plus here. The Asthma and Allergy supplement schedule (below) provides an excellent starting point and the following paragraphs make some other suggestions that may be helpful to you. These suggestions do not necessarily represent a comprehensive program for regaining your health. PRO-C™ and/or Ultimate Protector™ 2 caps 2 caps 2 caps 1 cap Take with meals and one before bed. Multi Two or Mighty Multi-vite 1 tab or 2 caps 1 tab or 2 caps Take with meals. Allergy Support Plus 1 cap 1 cap 1 cap Take 30 minutes before or 2 hours after meals. Buffered Vitamin C, Tablets — 1,000 mg (1 gm) or Powder (1/4 tsp = 1 gm) 1 gm 1 gm 1 gm 1 gm Best with meals, but other times are okay. Start with 1 gram once per day and add another gram every few days until you are taking 4 grams per day. Essential Fats plus E 2 caps 1 cap Take with meals. Pantethine Plus 1 tab 1 tab Take with meals. NAC — 500 mg 1 cap 1 cap 1 cap Take 30 minutes before or 2 hours after meals. May take up to 3000 mg per day if needed. Complete E — Vitamin E 1 cap 1 cap Take with meals. Ancient Minerals Magnesium Oil or Flakes 15 sprays 15 sprays bath Spray on your chest/lung area. Take a bath with 2–3 cups of flakes and 1–2 cups baking soda. TABLE 1. Allergy and Asthma Suggested Supplement Schedule. Adjust dosages and timing as needed. Additional nutrients that may be helpful include Selenium (200 mcg as l-selenomethionine), Echinacea (as drops or capsules), Quercetin (1500–3000 mg daily), Myo-Mag (1–2 caps 3 times per day), Vitamin B12 as methylcobalamin (5 mg per day sublingually), progesterone cream for women (1/2 tsp twice daily for the first month and then aligned to your menstrual cycle thereafter), Visual Ocuity for irritated eyes, Pure Cordyceps Capsules (4–6 caps daily), and Ubiquinol (50 mg 2–3 times per day). Certain teas and herbs can be helpful, but need to be used properly (e.g., ephedra, licorice, lobelia, skunk cabbage, angelica, and capsicum) because long-term usage may cause loss of effectiveness and possible side effects. It is important to make certain lifestyle changes that allow you to avoid the exposures that can cause you to feel ill. You may need to use natural materials (paints, flooring, sealants, bedding, etc.). Cooking and drinking water and maybe even bathing/cleaning water needs to be purified. Chlorine itself can induce or exacerbate allergies and asthma. Clothing, sheets/blankets, towels, soaps, detergents, makeup, shampoos, etc., ideally should be made from natural and organic materials. It is best not to have carpeting in the home because not only do they give off toxic chemicals (e.g., formaldehyde), but also collect of a variety of substances (dust, mold, mites, dirt, etc.) that can trigger your allergies or asthma. Prefinished hardwood floors and ceramic tile are the best alternatives. Molds are particularly bad offenders and extra care should be taken to eliminate exposure to them (use dehumidifiers, zepherin chloride (17% diluted to 1%), grapefruit seed extract (may be diluted to one part in 50,000), and low level ozone (0.01–0.05 PPM). If you must use floor coverings, then use natural fiber rugs (e.g., made from wool or plant fibers). The use of solvents, petrochemical cleaners, pesticides, strong detergents, and other strong chemicals needs to be avoided (whereas baking soda, vinegar, lemon juice, and some natural cleaners are okay). The use of an air purifer may be extremely helpful to you by eliminating indoor chemicals and molds. Consider consulting a good natural home book, such as Debra Lynn Dadd’s Home Safe Home, which is an excellent resource for locating safe materials. Relaxation exercises (including progressive relaxation, visualization, abdominal breathing, and autogenics) are key to becoming well again. We recommend taking biofeedback training from an expert in your area. Stress reduction methods should be practiced daily. These might include yoga, meditation, breathing exercises, qigong, peaceful music, or prayer. There are several excellent books about the connection between the mind and the health of the body, including Minding the Body, Mending the Mind. Any stresses such as cold air or drinks, emotional upset, anger, fear, etc. can induce asthma. Try to include a reasonable amount of exercise that is appropriate for you on a daily basis. Yet, remember that overtaxing your body may lead to an overproduction of adrenalin, which can worsen or increase asthma. Women sometimes find a correlation between their menstrual cycles and asthma/allergy. Keeping a diary for several months can help determine whether or not there is a correlation for you. An imbalance between estrogen and progesterone can cause menstrually correlated asthma. In this respect, progesterone cream can help. Allergies and asthma can be major problems for individuals contributing to discomfort, suffering, and in some cases incapacitation. Through a combination of avoidance, dietary adjustments, lifestyle modifications, and nutritional supplements, the worst symptoms of allergies and asthma can be reduced or eliminated.